Mud Runs is pleased to announce the launch of our newly designed and customized website, MudRuns.net. The new site was created as an all-in-one resource for the most popular fun runs and mud marathons on the market. A thorough and informative place for interested mud runners to visit and learn about what each mud run has to offer. This sit was really created to answer the question, "What is a mud run?" 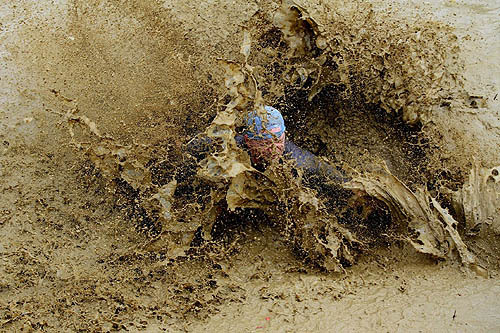 Besides outlining the features of the races, Mud Runs also created a database of the different types of mud races offered by each Mud Run organization. For example, a site visitor can now find out about both the Spartan Sprint and the Spartan Beast on one simple to read chart. Mud runs and mud obstacle races are growing in popularity but many are still uninformed about what mud runs are and what they entail. MudRuns.net also includes an FAQ section to ensure that questions and concerns are all answered. Site visitors are also welcome to contact the Mud Runs site support for further inquiries. Many of these mud runs offer specials for groups and military members; MudRuns.net combines these coupons on our page to offer those browsing the site with mud run specials and discounts. MudRuns.net looks forward to establishing expertise within the mud running circles and offer visitors are user-friendly and well designed place to find the mud run for them! What to Wear to a Mud Run?